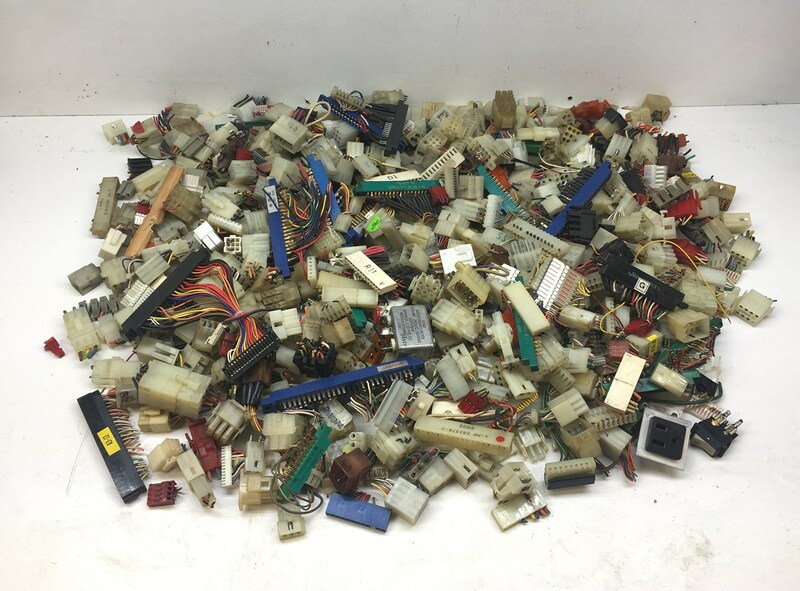 Large lot of assorted arcade game wiring harness connectors. 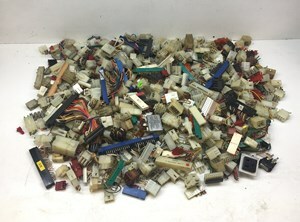 These were snipped from assorted harnesses, includes a nice mix of Molex, Amp and other related connectors. They are all used, almost all of them still have the pins still installed so they will need to be removed. There are over 9 lbs worth of connectors, easily 400-500 hundred connectors, if not more.